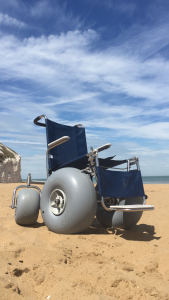 We are delighted to say that 6 brand new wheelchairs have been delivered to some of our beaches this week. You will find this new style chair in operation at Minnis Bay, West Bay, Margate Main Sands and Broadstairs. There will be one delivered to Ramsgate on Sunday. 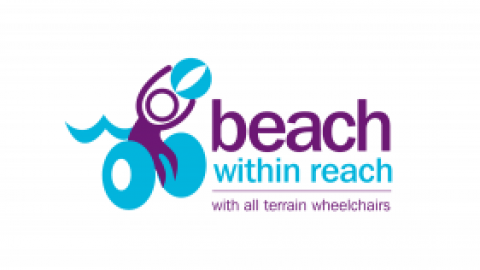 Pre-booking is available via this website, just scroll down the individual location page to find the booking/comment form, the wheelchair is not booked until you receive confirmation from Beach Within Reach. We are also trialling a hoist facility at Minnis Bay, this MUST be pre-booked, at least 24 hours in advance by calling 07432 648275. We will be at the Gears of Change/Military Show at Quex Park this weekend, the 4 wheelchairs will be located adjacent to the Information stand and are available for use on the day. 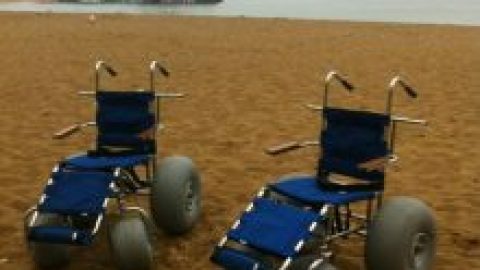 Please bring some form of identification with you if you would like to loan an all-terrain wheelchair to help you get around the event. 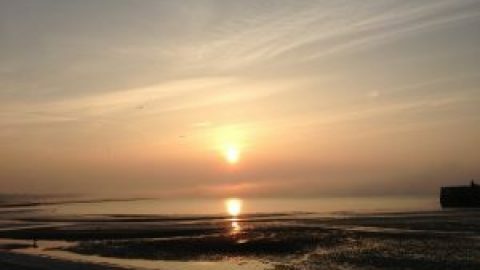 The forecast for the weekend is fantastic so whatever you are up to have a great weekend and don’t forget your sun cream.